I'm heading to China in December and yesterday I picked up the books I'd ordered for the trip. 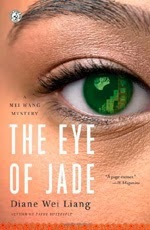 Qiu Xialong's A Loyal Character Dancer, Diane Wei Liang's The Eye of Jade, and Lisa Brackmann's Rock, Paper, Tiger. I'm looking forward both to the trip and the books. I've not visited China before, so it should be an interesting adventure. ‘I wouldn’t call this nothing.’ George tapped the dashboard of the BMW. 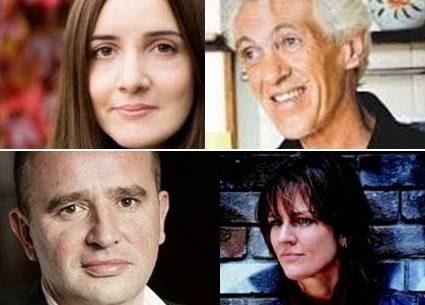 On October 30th a WritersWebTV will broadcast an online workshop on all aspects of crime fiction with best-selling crime authors Ken Bruen, Jane Casey, Declan Hughes and Niamh O’Connor. The workshop will run from 10am to 4pm and will be streamed live from a multi-camera broadcast studio in Dublin. Viewers will be able to interact with those in studio to help them develop their skills. Multi-award-winning Ken Bruen - the author of the Jack Taylor series which has become a TV hit starring Iain Glen – will talk through writing great hook-lines and how to develop characters across a series. Jane Casey, author of the Maeve Kerrigan series of crime novels will guide participants through the basics of narrative and plot. Declan Hughes - author of the Ed Loy PI series - rigorously plans his writing and he’ll be giving his insights on how to plan for your novel while being open to new sources of inspiration. Niamh O’Connor, one of Ireland’s leading crime journalists, will lead us through the research process and crack the code of juggling family, writing and a day-job. WritersWebTV has developed a world-first innovation in online education for writers by providing livestreamed interactive workshops to a global audience, featuring Irish and international best-selling writers and industry professionals. The authors will interact with an in-studio audience of aspiring writers, who present their work for critique. Online viewers can communicate with those in the studio using Twitter, Facebook or email. They can ask a question, take part in a workshop exercise, comment online and benefit from on-screen feedback from the authors in-studio. Led by experienced workshop facilitator Vanessa O’Loughlin, founder of writing.ie, the panel will consider the key elements of fiction writing and furnish viewers with tips, advice and actionable insights to help them improve their writing and get it on the path to publication. Sounds like it will be an interesting set of sessions and worth tuning in for. More info can be found on the WritersWebTv site. 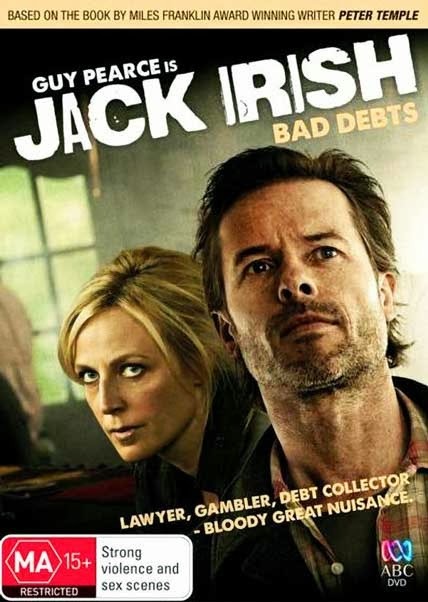 Got round to watching Jack Irish: Bad Debts last night. It was a little bitty at first as it tried to put in place a lot of back story quite quickly, but then settled down into a recognisable version of Peter Temple's novel of the same name. It perhaps had too many short scenes, a function of trying to work in all facets of Jack's life as well as the main plot, and would have probably benefitted from being half an hour longer, or two one hour episodes. Nevertheless, it was a very enjoyable, with an excellent cast and strong chemistry amongst the actors, especially Guy Pearce and Marta Dusseldorp. Recommended viewing. The end is in sight for the present academic book I'm writing. I have first drafts of ten chapters, minus their conclusion sections. 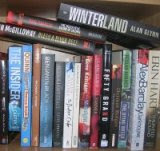 Once I've tidied them up that just leaves the final, conclusion chapter. And to go through and edit, re-jig and revise the whole script. I feel more confident now that I should make the end of January submission date, despite being swamped with other work. We'll see. I love that feeling when you're reading a novel and rolling around at the back of your mind is, 'this is brilliant.' 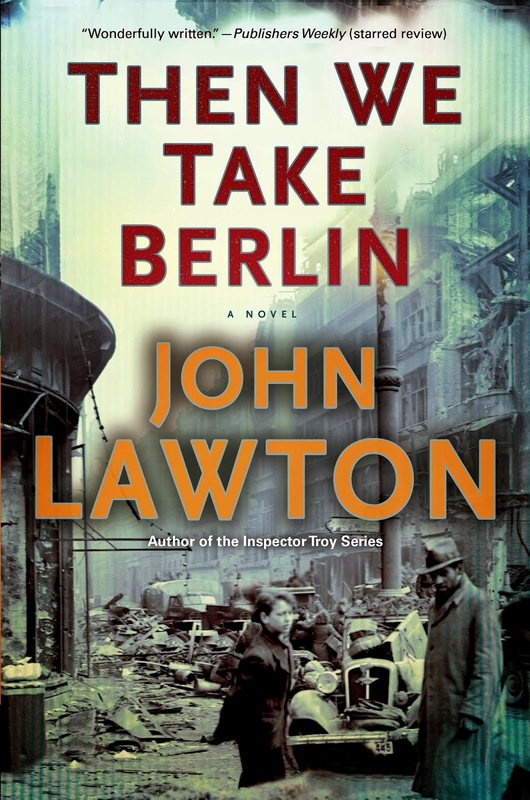 I'm about 150 pages into John Lawton's Then We Take Berlin and this thought has been there for quite a time now. Totally captivating. Hopefully a feeling that lasts until the final page. A feeling worth sharing, I think. Back in Ireland after a hectic week in New York and Boston. Normally I find more time for reading when travelling, but not on this trip. 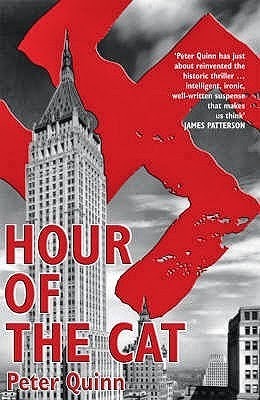 I read just two books, both historical novels set in New York, which were very different in style but each very good. 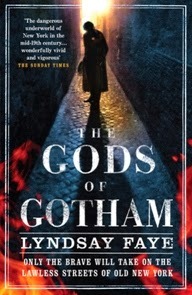 Expect reviews of Lyndsay Faye's The Gods of Gotham (set in 1845) and Peter Quinn's The Hour of the Cat (set in 1938) in the coming week. Ten years after starting a relationship with Rebecca in the Diggers Rest Hotel, Charlie Berlin is living in suburban Melbourne with his wife and two children, Peter and Sarah. He’s still working as a cop, but his career is in a dead-end, he’s struggling to make ends meet, and he is still living with the demons of his time as bomber pilot and POW in a Polish camp. When a recently bereaved widow becomes suspicious about the activities of a funeral home, Berlin agrees to investigate. It’s immediately obvious that the director of the company has something to hide and his interest piqued, Charlie starts to poke around. It soon becomes clear though that he’s stumbled onto something much bigger than he anticipated and he’s inadvertently put himself and his family at risk. 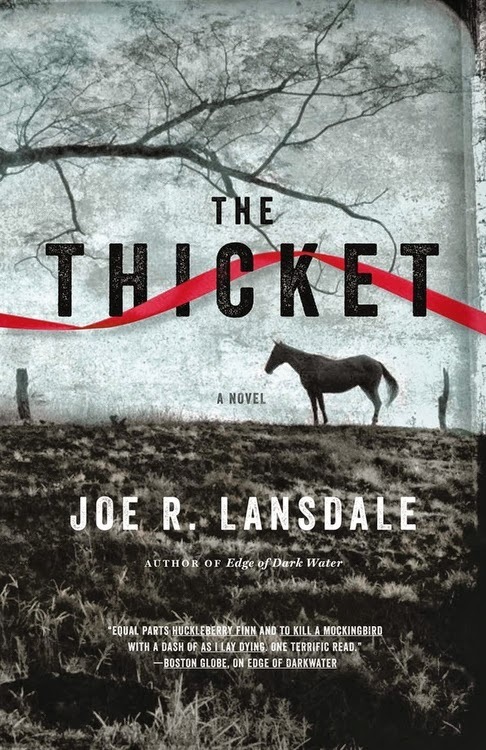 Rather than turning a blind eye, however, he stubbornly continues to investigate the strange goings-on at Black Wattle Creek. 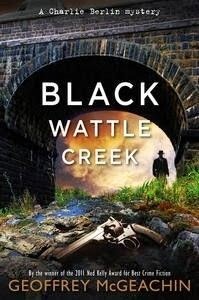 Black Wattle Creek has two strong elements: the character of Charlie Berlin and his family, and the reason behind his investigation. Berlin is interesting company, a caring family man who’s haunted by his past, and is tenacious in his pursuit of a solving a case. When he looks into the suspicions of one of his wife’s friends about a local funeral home he has no idea what he getting himself into. It soon becomes obvious that maybe he’d be better off keeping his nose out of other peoples’ business. Where the story seems to become a little unstuck, however, is in its unfolding. 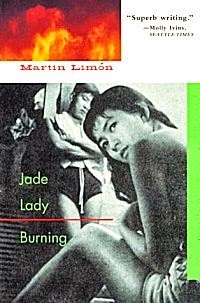 There were two aspects that I had a hard time buying which worked to undermine the fidelity of the tale somewhat. The first was the strategy of those he’s investigating, who inflict savage violence on those Berlin consults rather than the man himself. The second was Berlin being enlightened by the same people when there was really no need and then let wander free. Nevertheless, the tale is enjoyable, mainly because Berlin is a compelling, wounded character and the pacing and prose are nicely done. 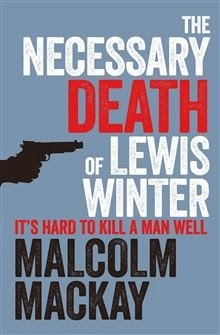 The third book in the series is due out next year and I’m looking forward to reading it in due course. 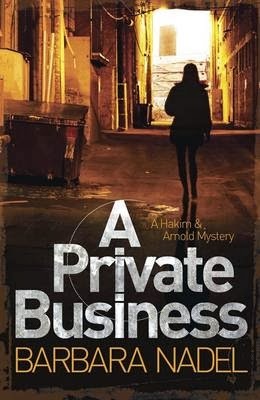 Many thanks to Geoffrey McGeachin for sending me a copy of the book, which has recently won the 2013 Ned Kelly Award for best crime novel in Australia. I'm happy with this haul, though its added a couple of kilo to my suitcase. It's a wonder I only managed to stick to seven. It would have been a lot more if I'd browsed in earnest - these were all within a few feet of the front entrance! I'm looking forward to reading them sometime between now and Christmas. A bumper month of reading, aided by a holiday break at the beginning of the month. 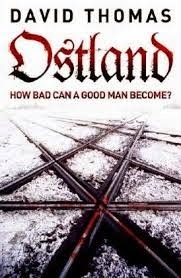 My read of September was Ostland by David Thomas, which proved a thought-provoking tale.